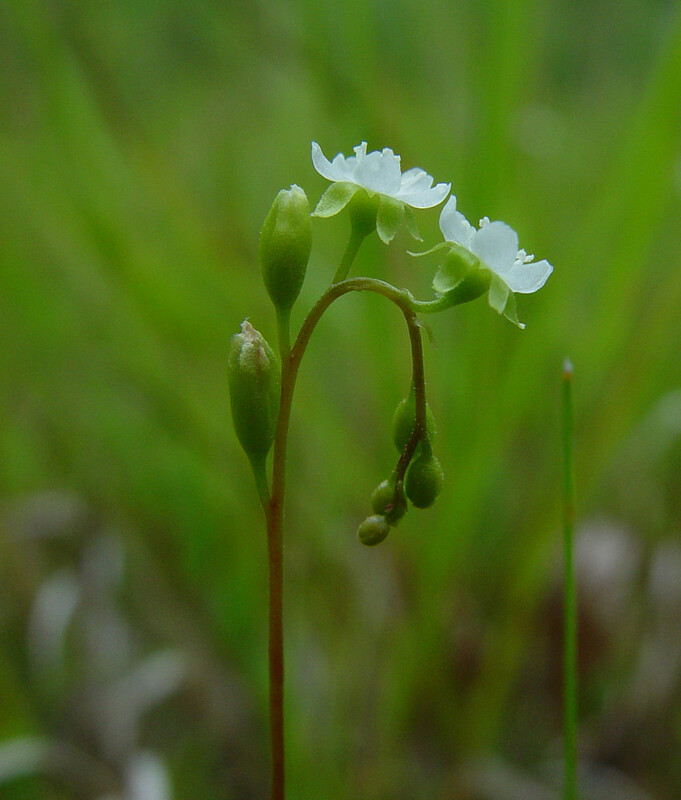 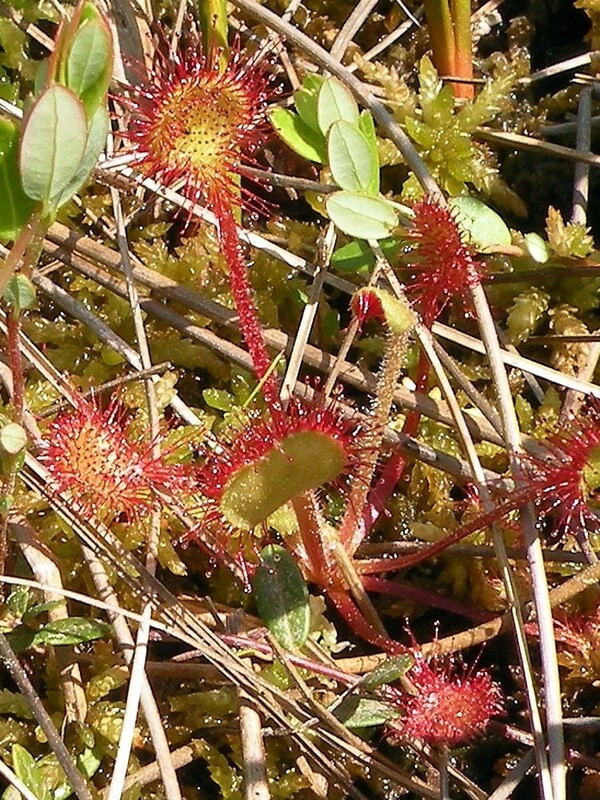 In addition to its well-known carnivory, round-leaved sundew, which lives in acid bogs, has the highest concentration of vitamin C in its leaves of any known plant. 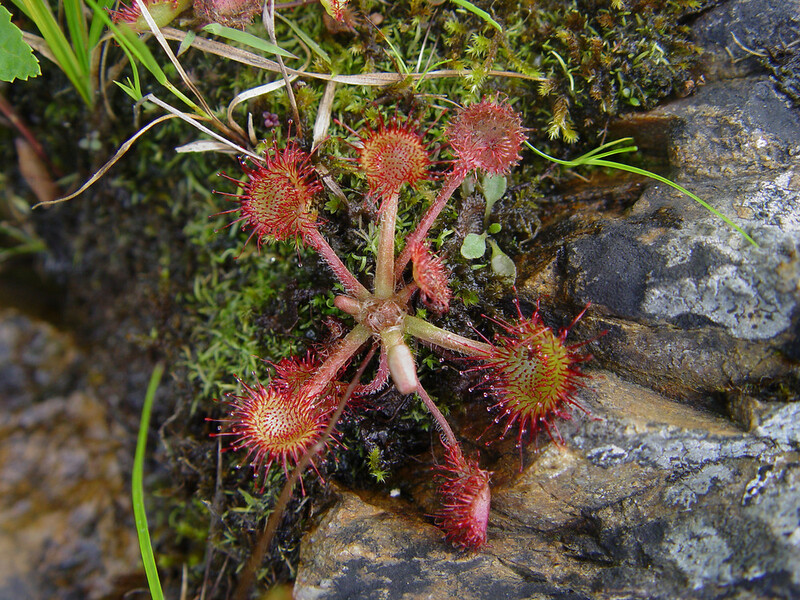 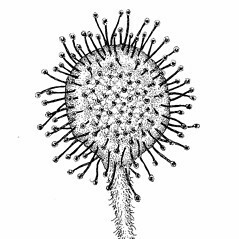 In his book, "Insectivorous Plants" Charles Darwin recounts many experiments he conducted on round-leaved sundew. 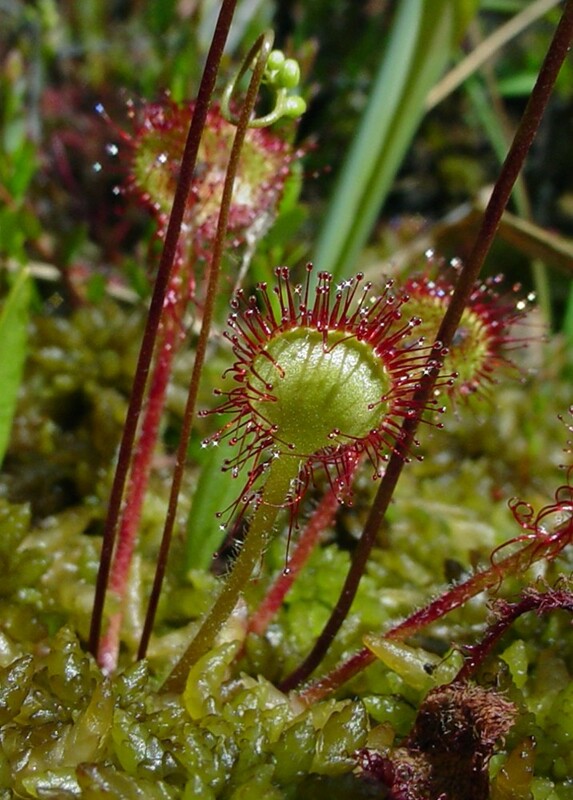 The sticky substance exuded by its leaves trap insects that the plant then digests...but they are also contain naturally-occurring nano-compounds with potential applications for tissue engineering and development of new adhesives. 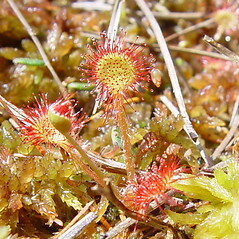 leaf blades obviously longer than wide and petioles without hairs (vs. D. rotundifolia, with leaf blades as wide as or wider than long and petioles glandular-pubescent). 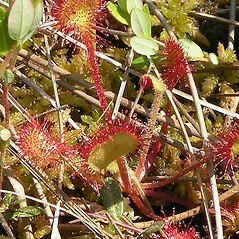 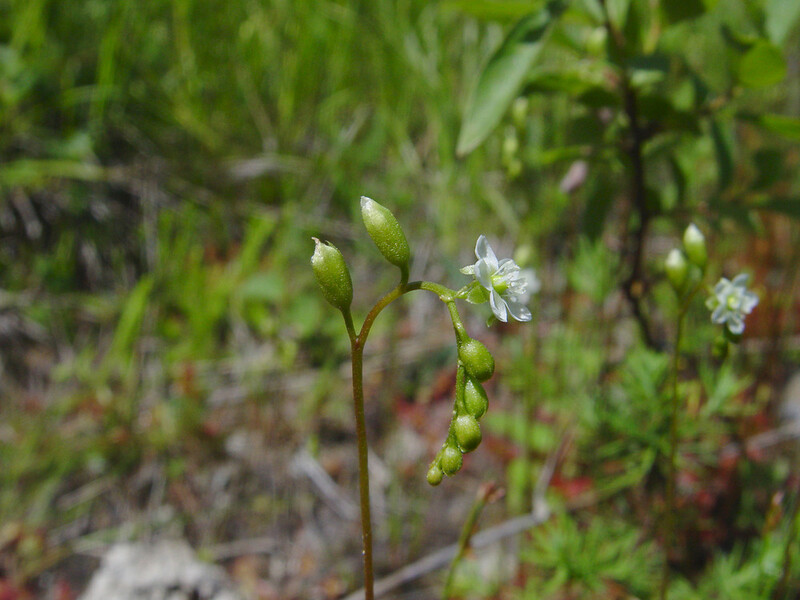 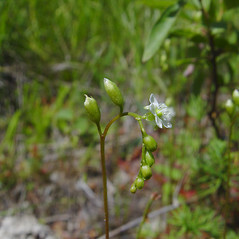 Drosera rotundifolia var. 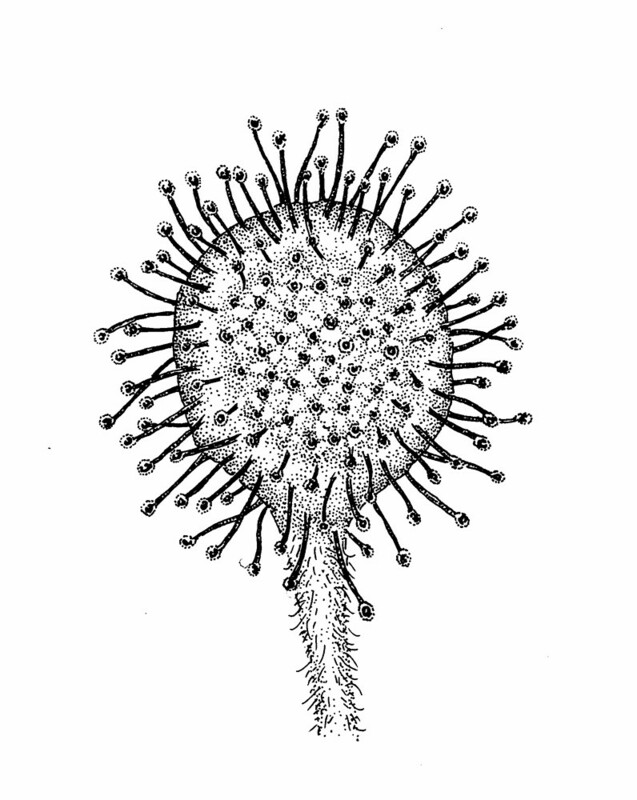 comosa Fern. 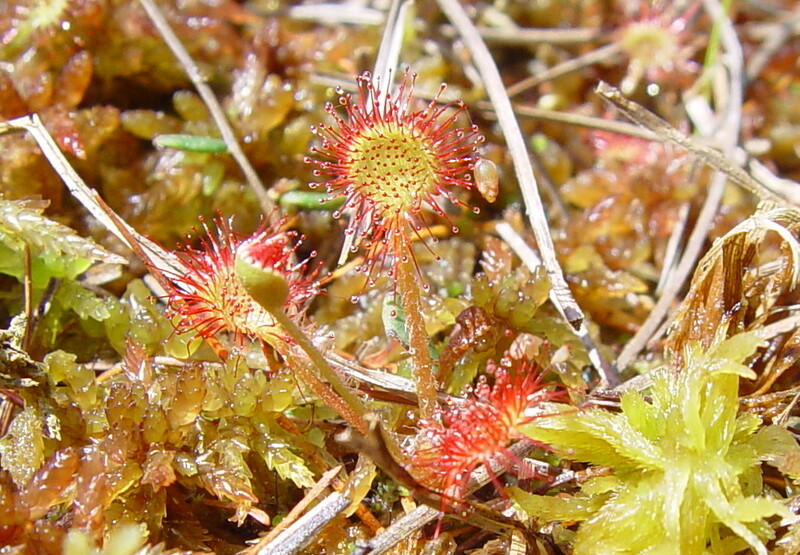 round-leaved sundew. 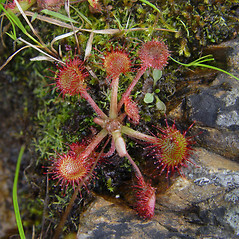 Drosera rotundifolia L. var. 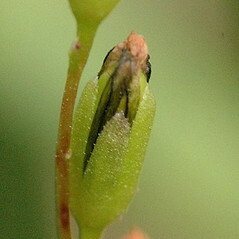 comosa Fern. 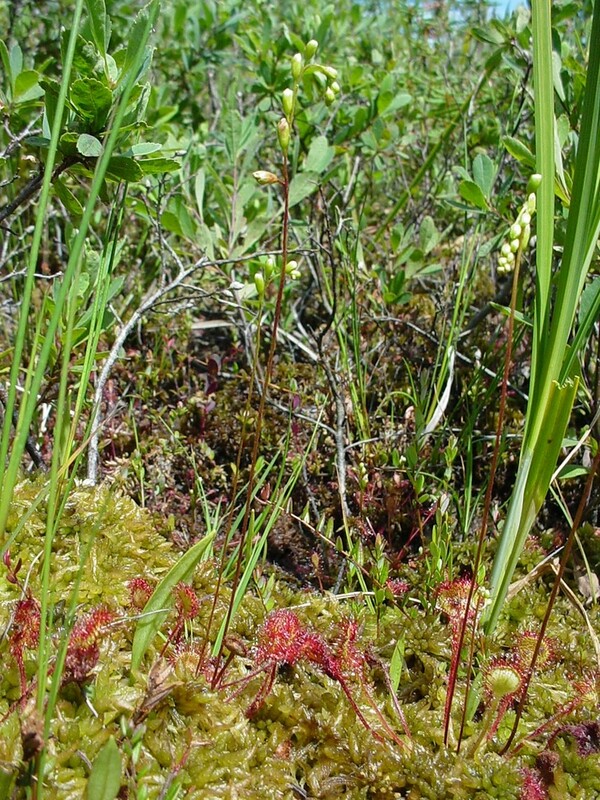 • CT, MA, ME, NH, RI, VT. Bogs, fens, lake shores, river shore seeps. 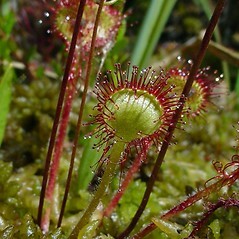 Drosera rotundifolia var. 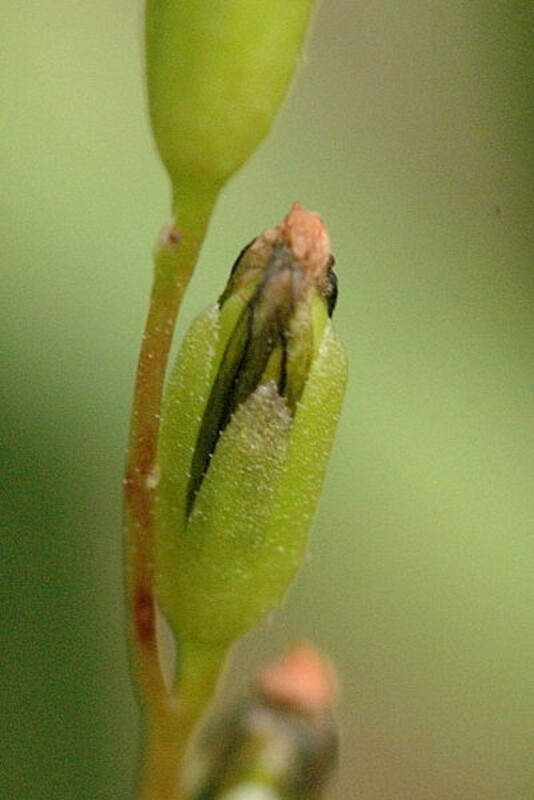 comosa represents a set of plants with varying degrees of proliferation in the flowers. 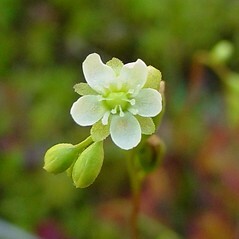 On a given plant, some flowers are normal, whereas others have the carpels (and sometimes other parts of the flower) modified into tiny, stipitate-glandular leaves. 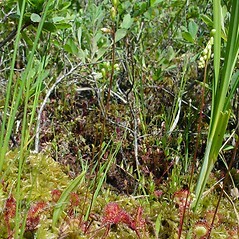 There is great variation regarding these features within a given population (i.e., plants range from normal to highly modified). 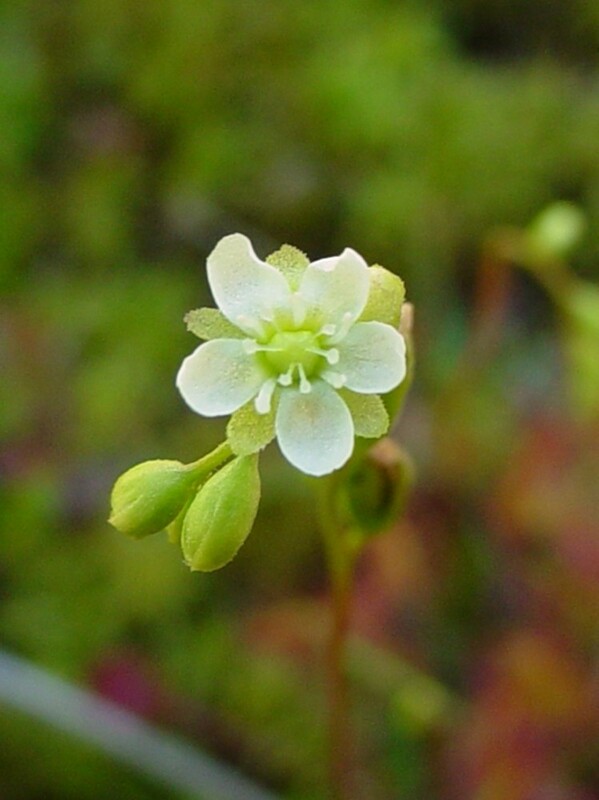 Further, plants with proliferations are not known to be genetically different from plants without them. 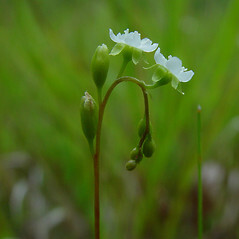 For these reasons, this taxon is included within the typical form of the species.